Edward Malley, founder of Lawyers Group, brings impressive credentials and a continuous record of success to legal advertising. With a celebrated background in both business pursuits and television, Mr. Malley’s success has been featured on the front page of The New York Times Business Section as well as People Magazine. Mr. Malley enjoyed a long and successful career in television broadcasting. He was an on-air newscaster with TV stations in Detroit, Denver, Pittsburgh and St. Louis, culminating in a position with the prestigious CBS flagship station in New York City. He is also a highly acclaimed journalist – having won an AP Award for Excellence in Individual Reporting – and a distinguished business writer whose articles have been published in the Sunday edition of The New York Times, Money Magazine and The International Herald Tribune. Understanding the power and scope of television, Mr. Malley brought his years of success and experience to the field of legal advertising. Starting with one attorney client in 1983, his company quickly grew. Soon, he had attorneys on the air in over 100 cities. 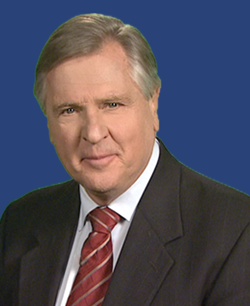 To date, Ed Malley has produced thousands of successful TV commercials for lawyers across the country. Communication has evolved since 1983, and Lawyers Group has changed along with it. In addition to TV, Lawyers Group utilizes Internet media platforms for new lead generation opportunities. We optimize all our websites and landing pages for best search results, as well as running mobile and desktop Pay-Per-Click campaigns on all major search networks. These Internet generated leads together with our TV leads maximize return on investment for our attorney clients. Legal marketing is all we do and Lawyers Group has a proven track record. Delivering high-quality leads at an affordable price has always been our goal. Ed Malley is committed to the success of all our attorney clients… as committed today as he was when he started his business in 1983.